PPM is an IATF16949:2016 certified manufacturer. 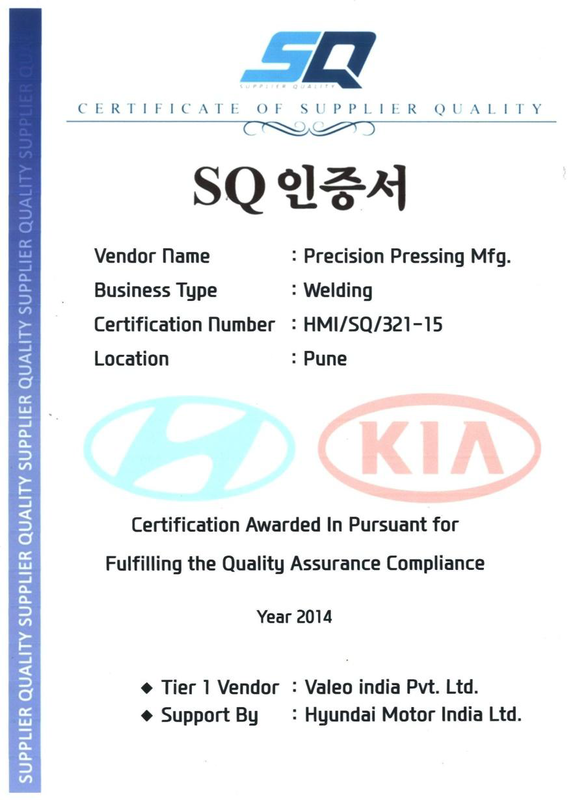 We have been awarded an SQ certificate by Hyundai Kia motors. The SQ mark recognizes technical skills and high-quality level of products. We have an organized, systematic yet dynamic process and over 40 years of experience. When we receive your RFQ, our team members carefully evaluate your project. We thoroughly review your quality, delivery and service demands using our extensive experience and thorough understanding of the product. We send our techno-economic review which includes feasibility study, material and standards evaluation and our recommendations for cost saving. Depending on your flexibility, we may also suggest unique out of the box cost saving alternatives by considering innovative manufacturing methods, this not only improves product performance, but also leads to significant cost savings.